Active Ingredient: Benzalkonium Chloride (0.13%). Inactive Ingredients: Aloe Barbadensis Leaf Juice, Citric Acid, Disodium EDTA, Poloxamer 188, Sodium Chloride, Sodium Hydroxide, Water. Does not contain Antibiotics. Adults and children 2 years of age and older: Clean the affected area. 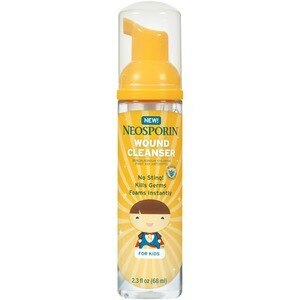 Apply a small amount of this product on the area 1 to 3 times daily. May be covered with a sterile bandage. If bandaged, let dry first. Children under 2 years of age: Consult a doctor. Other information: Store at 20 to 25 deg C (68 to 77 deg F). Protect from freezing.